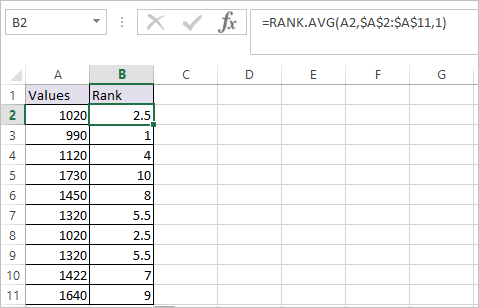 If the numbers are same then the average of rank is allocated to them. 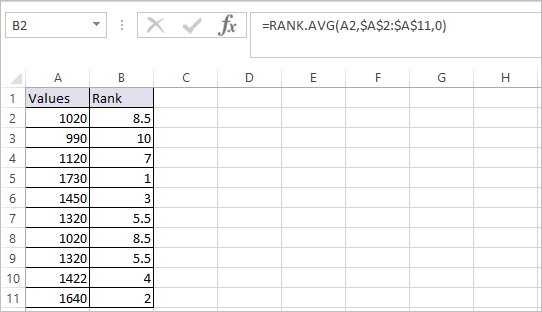 In our example the value 1020 is found twice and rank 8.5 is allocated for both the occurrence .Rank 9 is left unused because we have given Rank 8.5 twice. Here, 1020 is found twice and ascending order rank of 2.5 is allocated for both the occurrences.